From secure software development lifecycle (SDLC) design and threat modeling, to penetration testing, eLearning and program management, Optiv Security can help accelerate the maturity of your application security programs. Providing maximum value for your technology decisions, architecture and security projects by applying proven methodologies and leading practices to help ensure success. We enable your security program to keep pace with digitization by integrating into your DevOps processes, so you can reap the rewards of cloud adoption while minimizing risks. Moving organizations from crisis to continuity in the face of an incident, our experts help with plan development and deployment. Optiv helps you enable your business and reduce the risk of a breach. Our experts can assist with strategy, implementation and management of your identity and access management (IAM) deployments. Leverage risk and compliance strategies to develop a more secure and resilient organization. Organizations must closely align their security program with their business strategy. Optiv partners with your organization to not only secure your environment but to support your business goals and enable future growth. Organizations rely on third parties to conduct business, but is confidence in their security practices misplaced? Organizations need a partner to help plan, build and run their third-party risk programs successfully. 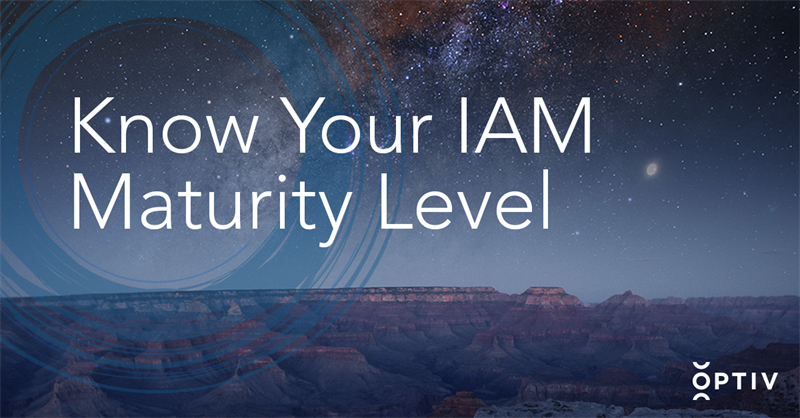 Take this light-weight self-assessment to determine the maturity of your IAM security program.